Abe Cohen Plumbing and Heating Inc. is who you need to call for residential sewage pumps in Ahuntsic, Baie D'Urfe, Beaconsfield, Bord du Lac, Cote St-Luc, Cote Saint-Luc, Dollard des Ormeaux, Dorval, Downtown, Hampstead, Ile Bizard, Lachine, Lacey Green, Lakeshore, LaSalle, Laval, Mile End, Mo	ntreal West, NDG, Nouveaux St. Laurent, Nun's Island, Old Montreal, Outremont, Pierrefonds, Plateau, Pointe Claire, Pointe St. Charles, Roxboro, Ste-Genevieve, St. Henri, Town of Mount Royal, Verdun, Ville St. Laurent, West Island, Westpark, Westmount. We are equipped and trained to verify and test the functioning of your sewage pump and the entire evacuation system, and to advise you concerning improvements. If you suspect that the pump may be getting old or is not working properly, call us for an inspection and verification. 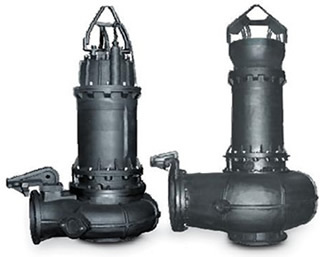 When it comes to sewage pumps, there is no "economy" to buying less than the best quality of equipment. The consequences of a backed-up sewage system are too serious and too costly to justify anything but a near failsafe installation.